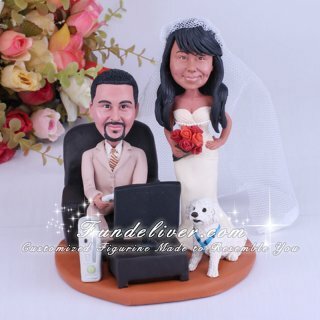 This is a completely customized Xbox theme wedding cake topper ordered by one of our customers. They want groom to be on a small couch playing Xbox 360 and bride to be standing aside with one hand on her hip & the other hand holding her (fall) flower bouquet with a smirked face and have their dog (SimBa) sitting next to her. The bride wears an ivory mermaid dress with beading on the middle and bottom. The groom wears a tan tux. The most interesting part is the white Xbox and game controller groom is holding, which add a great touch on their gamer theme wedding. 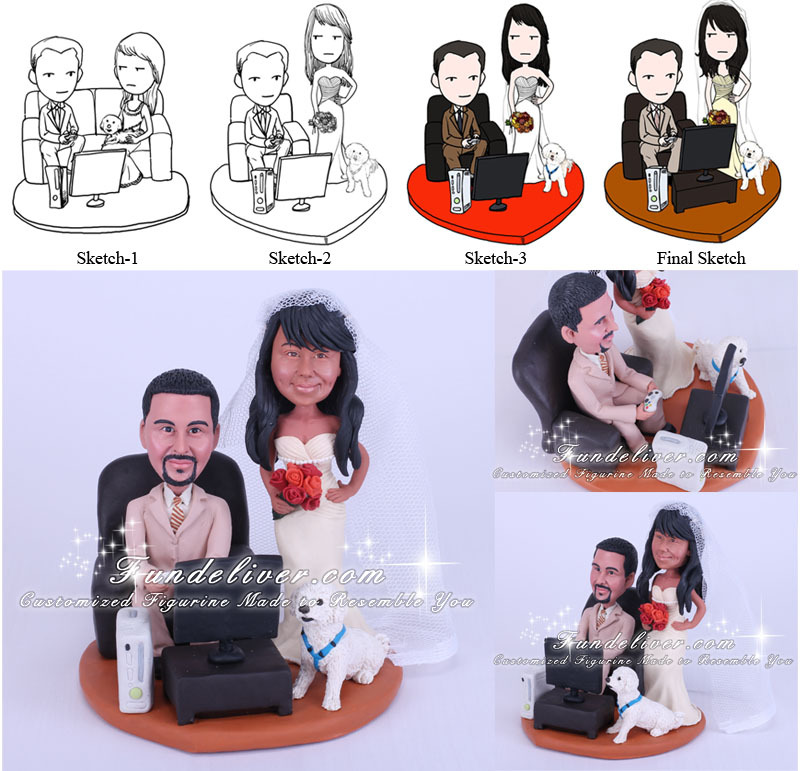 Maybe you and your love one met in this Xbox wedding theme, why not create your own Xbox cake topper?